(Updated edition 2015) The only way to win in the long term is by obtaining value in the betting odds and Finding an Edge is best described as an instruction manual to help readers swing the odds in their favour - The content could appeal to the more experienced who understand the importance of value and the intricacies of fixed odds betting with Betfair, Betdaq and Bookmakers - Please check the look inside feature to ensure suitability. On and Off Course Betting Strategies Proportional Staking & Betting Bank Management Formula to identify profitable Each Way Bets Formula for converting Win odds into approximate True Win & True Place prices Tote Exotics Selections Formula Timeframes Backers Book, Hedging, Sports Trading, Backing, Under-priced Lays, In-Play, Saturday Arbitrage + Plus Lots More. 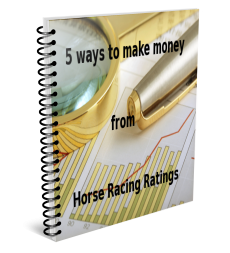 From the Author - As I have been betting at a professional level for many years, the methods used gradually evolved and became more sophisticated so I finaly decided to document the details. There was no intention of writing a book but this is what subsequently happened."